offer guidance on best instructional practices for involving and engaging all students. Text for undergraduate physical education methods and pedagogy courses. 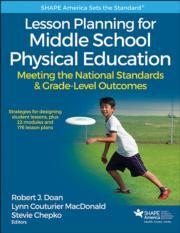 Reference for middle school physical education and classroom teachers.